Kappa Alpha Order - ΚΑ Fraternity at University of Virginia - UVA 3.0 South Feb 21, 2019 3:34:20 PM “The south will rise again.” Tend to express their endearment to the Confederate flag while smoking cigs inside. “The south will rise again.” Tend to express their endearment to the Confederate flag while smoking cigs inside. Kappa Alpha Order - ΚΑ Fraternity at University of Virginia - UVA 4.4 Aunt Bea Aug 10, 2017 3:27:09 PM Always a great time with the men of KA.Great parties and classy guys. Always a great time with the men of KA.Great parties and classy guys. 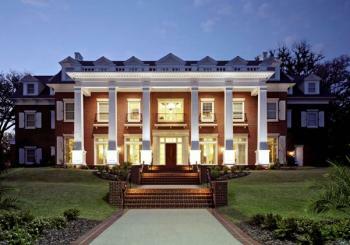 Kappa Alpha Order - ΚΑ Fraternity at University of Virginia - UVA 4.2 BB Jun 30, 2017 3:41:52 PM These guys are a lot of fun.Bonnie B is coming to town. "Always Faithful". These guys are a lot of fun.Bonnie B is coming to town. "Always Faithful".